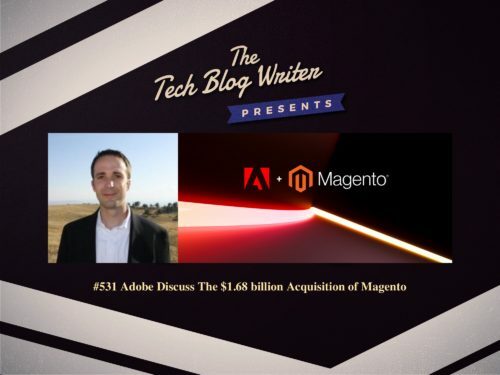 Adobe recently announced it has entered into a definitive agreement to acquire Magento Commerce, a market-leading commerce platform, for $1.68 billion. The addition of the Magento Commerce Cloud will enable commerce to be seamlessly integrated into the Adobe Experience Cloud, delivering a single platform that serves both B2B and B2C customers globally. The Magento Platform brings together digital commerce, order management, and predictive intelligence into a unified commerce platform enabling shopping experiences across a wide array of industries. At the core of every great experience are content and data, which enable the consistent, personal, intuitive experiences consumers have come to expect. Commerce is also integral to the customer experience. Consumers and businesses now expect every interaction to be shoppable – whether on the web, mobile, social, in-product or in-store. Magento brings Adobe Experience Cloud digital commerce enablement and order orchestration for both physical and digital goods across a range of industries, including consumer packaged goods, retail, wholesale, manufacturing and the public sector. Magento Commerce is a leading provider of cloud commerce innovation to merchants and brands across B2C and B2B industries. In addition to its flagship digital commerce platform, Magento Commerce boasts a strong portfolio of cloud-based omnichannel solutions that empower merchants to successfully integrate digital and physical shopping experiences. Magento Commerce is the #1 provider to the Internet Retailer Top 1000, the B2B 300 and the Top 500 Guides for Europe and Latin America. Magento Commerce is supported by a vast global network of solution and technology partners, a highly active global developer community and the largest eCommerce marketplace for extensions available for download on the Magento Marketplace. We discuss what this new partnership will mean to customers, businesses and the future of both Magento and Adobe.